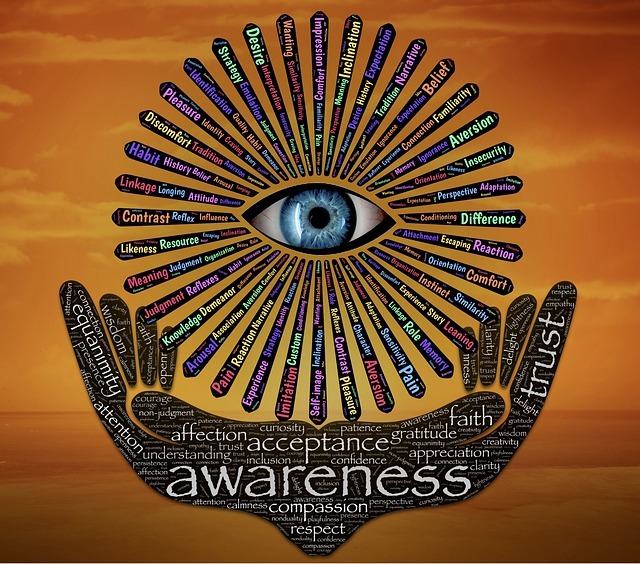 Whether you are reading a Harvard Business Review article, watching a talk show, or looking at The Atlantic magazine, one topic that continues to show up is on self-awareness. This is probably because of the direct impact it has on professional and personal relationships. They cannot empathize with, or take the perspective of others. During an interview, former Vice-President Joe Biden mentioned two characteristics he believed made a successful leader, courage and self-awareness. He said that with self-awareness, you want to understand strengths and weaknesses. You want to play to your strengths and shore up your weaknesses. Self-awareness was one of the main topics I talked about in a recent presentation. It is crucial in successful relationships to be self-aware. You want to notice your impact on others and their impact on you. Then, deeper awareness is not just about the words a person says, but the tone in which they say things and the body language they use. The impressions we have are 7% from what we hear (the words others speak), and 93% from tone and body language. I’ve noticed an increase in requests for the Emotional Intelligence 360 degree feedback assessment which has an emphasis on the soft skills: self-awareness, listening, compassion, and empathy, in addition to the harder skills that show me “bottom-line” results. We are living in a world where soft skills in the workplace and our personal lives mean more than ever for achieving success. It is time for people to start developing their self- awareness at a deeper level. According to author Tasha Eurich it is essential to know both “who” we are and “how” we are. She writes there is something I call internal self-awareness, which is understanding inwardly who I am, what makes me tick, what do I want to do in my life. And there’s another kind called external self-awareness, which is knowing how people see me. People sometimes say they don’t care what others think about them, but the truth of the matter is that it does matter what people think of you. Eurich says if you want to be successful in your career, if you want to have strong and lasting relationships, if you want to have a happy and fulfilling life, a lot of that is dependent on you understanding how you’re perceived. Fortunately, self-awareness can be cultivated in life and at work. When someone tells you how you make them feel, listen to what they’re saying to you. Try not to get defensive. Maya Angelou, poet, singer, memoirist, and civil rights activist said, I’ve learned that people will forget what you said, people will forget what you did, but people will never forget how you made them feel. In an article in The Atlantic by Adam Grant, People Don’t Actually Know Themselves Very Well, Grant wrote who could possibly know you better than you? But your backstage access to your own mind sometimes makes you the last person on Earth others should trust about it. He added, think of it like owning a car: just because you’ve driven it for years doesn’t mean you can pinpoint when and why the engine broke down. 1) Start noticing your self-talk, your inner dialogue or chatter. What are you saying to yourself? Is it negative or unproductive or is it positive and moving you forward? 2) Notice where you feel things in your body. For example, if you are in a stressful situation, do you feel tense? Does your body tighten? I personally get a kicked in the stomach feeling. Some may get headaches or tightness in the chest. Everyone’s different. Start noticing where you feel things because our body clues us into what’s going on in ourselves and the environment. 3) Try meditating or taking time out to pause and reflect. You can begin by focusing on your breath, inhaling in and exhaling out. This can improve your moment-by-moment awareness. 4) Spending time with someone in a high-intensity situation allows you to get to know a person at a deeper level. 5) Keep a journal of what brings out your best and worst can help with self-awareness. Journaling is also great for identifying what you want to do, and keeping track of your progress. 6) Put yourself in positions where you can get feedback from several people. In the workplace feedback from a 360 assessment (where others rate you) can be helpful. Look for themes. When several people rate you the same on an item, it’s not easy to argue with that. 7) Ask a trusted friend. Let them know you are seeking objective perspectives…and make them feel comfortable so they can give you an honest view. Building self-awareness is a life-long effort, much like sustaining your confidence, having a positive self-talk and high resilience. They are factors for your wellbeing. Self-awareness is key to being a good leader. What we say, what we think, and what we feel should all be consistent. These will lead us closer to a state of self-congruence.